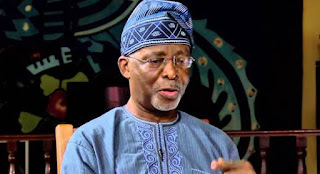 President Muhammadu Buhari has reacted to the death of the founder of Oodua Peoples Congress (OPC), Dr Frederick Fasehun. The President, in a condolence message by his Special Adviser on Media and Publicity, Mr Femi Adesina, in Abuja on Saturday, commiserated with the bereaved family, Yoruba nation, the government and people of Ondo State over the passing of the medical practitioner. The President prayed that almighty God would comfort all those who mourn the octogenarian and grant peace to his soul. Fasehun, aged 83, died at about 1am, Saturday at the intensive care unit of the Lagos State University Teaching Hospital Ikeja (LASUTH). The late Fasehun, who was born in Ondo on Sept. 25, 1938 in Ondo, Ondo State, was an active member of NADECO.